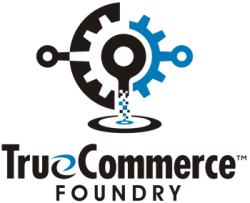 At the heart of our Commerce Foundry platform is our Product Information Management System (PIM). Our PIM provides you with a central location to manage your product information so that you can efficiently market and syndicate product information to your distribution channels. Aside from data elements, you are also able to store digital assents in the PIM such as images, sound bites, and videos. Gone are the days of having a directory of Excel files in various formats of your product information. Our Product Information Management Software creates a unified experience via a very pleasing user interface. Should you decide to allow your vendors to update information for their own products, you can provide them with their own login credentials. When they login, they will only be able to see and make changes to their products. As your catalog of products expands, the need for supporting a deep product hierarchy increase. With our PIM there is no limit to the depth of that hierarchy. Organizing your digital assets is one of the many strengths of our application. Each product can have unlimited images. Store web optimized versions for your online store or high resolution images for a printed catalog. We also support both video and audio files. Unfortunately, not all products are simple SKUs. Some product have very complex configurations with many attributes and variations. Our PIM handles super complex product combinations with ease. Use our automated translator to transcribe your product descriptions into multiple languages. Our Product Information Management System provides forces accountability. Every change is logged by every user. Built on our most current responsive technology platform, our TrueCommerce Foundry PIM and is friendly to regardless of device type. Interested in seeing a demo of our PIM? Please complete this form and we will contact you.